A few small marks to the page edges. A slight tan to the page edges. Very Good: a copy that has been read, but is in excellent condition. Pages are intact and not marred by notes or highlighting. The spine remains undamaged. Most items will be dispatched the same or the next working day. Very good. 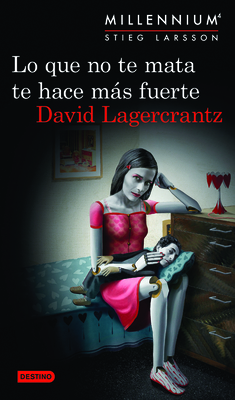 Lo que no te mata te hace más fuerte: Millennium 4 by Lagercrantz, David. New. Text in Spanish, English. Trade paperback (US). Glued binding. 656 p.